Hi, my name’s Fiona. I have a hubby and two grown daughters. I am North West London, born and bred, but love to travel. I work practically full time and have a very active social life with family and friends. And then there’s this crazy, beautiful, amazing other part of my life – the book world. I started off reading MF and established myself as MF author, Jessie Courts, but once I discovered MM, all bets were off! I love it! It has brought so many fantastic people into my life; authors, readers, bloggers, models – it’s been an incredible journey so far. I guest review for Books Laid Bare Boys; make up one third of the shiMMer team, and write MM under the author name of Viva Gold. I am so looking forward to seeing everyone at shiMMer 2019, and despite all the ups and downs the MM book community has had recently, am still really proud to be part of it. Hopefully, you’ll come to the shiMMer dinner too on the Saturday Evening in the Hotel (details are in the doc). We’d love to see you there. (Separate Friday night event details to follow nearer the time). shiMMer tickets now on sale! Please click on the link below to make your purchase. There is also an option to buy Saturday night shiMMer dinner tickets. *Please note places for the dinner are limited and can only be bought with an entry ticket*. Hotel details also included. 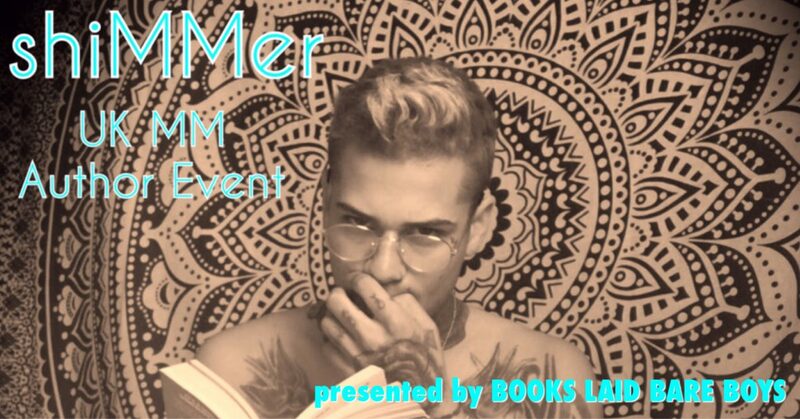 Author shimmeruk2019Posted on January 26, 2018 April 9, 2019 Leave a comment on BUY TICKETS HERE! TICKET NEWS!!! What’s it gonna cost? Author shimmeruk2019Posted on January 17, 2018 Format ImageLeave a comment on TICKET NEWS!!! What’s it gonna cost?